Demo Version of Excel Recovery show the preview of data but it restricts to save the file. If you want to save the recovered file, please purchase the Full Version of the software at the minimum price of $49. 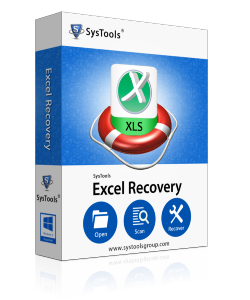 Excel Recovery is the automated tools that take out data from corrupted or damaged excel file and recuperate it. It support recovery of Excel files created with MS Excel 95, 97, 2000, 2002 (XP) and 2003. This file is in an unidentified format. Excel can’t be able to access. The file may read only, or you may be trying to access a read only location .Or, the server the document is stored on may not be responding.